The band, which hails from Charlottesville, Virginia, has crafted tracks that are full of grit and swagger. Their songwriting embodies the voice of an outsider who’s pushed to the edge by personal experience in a world that’s on the brink of collapse. The lyrics are fueled by a feeling of alienation, as well an innate yearning for for redemption amidst a decaying society. ‘Psychopaths & Sycophants’ begins with the entry ‘The Future,’ which is a cover of the song of the same name that was originally written and recorded by Leonard Cohen. Although the initial track was released in the early 1990s, its message is still as powerful as it was when it first hit the airwaves. The group’s new version powerfully questions what the future may hold for mankind. With an energetic, rock-n-roll feel to the instrumentation, the tune offers a glimpse into what type of musicians Morris and his bandmates are, as the singer proclaims that he sees the painful consequences that society will face in the future. 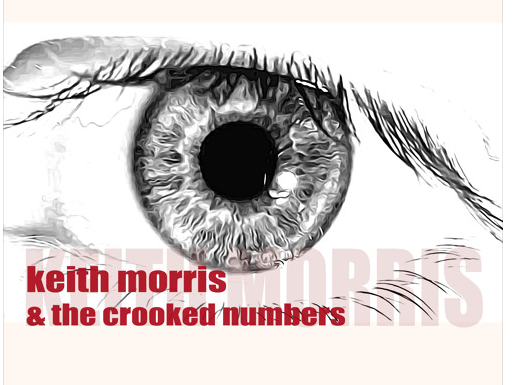 Keith Morris & The Crooked Numbers then delve into the inquisitive and politically-charged entry, ‘What Happened to Your Party.’ The singer authoritatively declares that he has seen the future, and it’s consumed by murder. Taking inspiration from Cohen and Bob Dylan, Morris challenges the current American political system and its leaders. Aided by a slow, simmering steel guitar and soulful drum accompaniment, the vocalist proclaims that he doesn’t mean to cause a scene, but he has to question what politicians choose to do. While the song clocks in at an astonishing 8 minutes and 45 seconds, a shorter version would be stunningly effective as the score in a move or television scene about politics. The third entry on ‘Psychopaths & Sycophants’ is ‘Thousand Mile Stairs,’ which addresses the loss of innocence in society. The tune features a gripping mix of slow and soulful piano chords and drum beats, as Morris emotionally reveals that someone in his life has crossed the line repeatedly, which has left him with no choice but to walk on the journey they created for him. ‘Thousand Mile Stairs’ then transitions into the album’s title track, which is one of the best entries on ‘Psychopaths & Sycophants.’ The song focuses on shining a light on the wrongdoings of all the leaders who are running society. Led by a jazz-infused piano, Morris grippingly croons about how politicians have no shame, and how he can spot the lies in their speeches. The tune is a powerful declaration of the singer-songwriter’s anger at the way leaders rule.